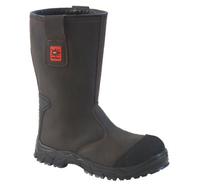 GORE-TEX Waterproof & Breathable Boot with Composite Toe Cap and Kevlar Midsole Resistant to Sole Perforation. 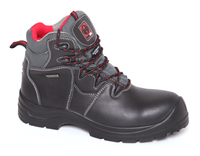 Nubuck Leather with Cordura Lining. 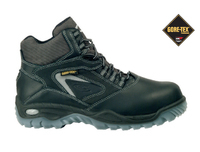 Goretex Waterproof & Breathable Boot with Composite Toe Cap and Kevlar Midsole Resistant to Sole Perforation. 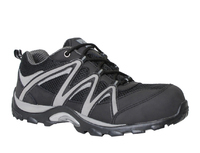 Metatarsal Support for Maximum Comfort and Shock Absorption. 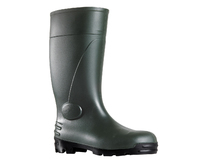 Nu-Buck Leather Boot. 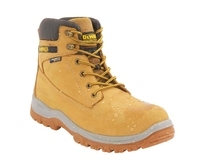 Arch Support Cork Comfort Midsole. Padded Tongue. Cordura Lining. 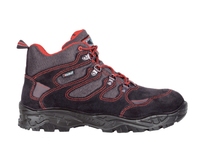 Reinforced Lace Eyelets. 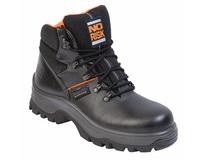 NO RISK Franklyn Waterproof Leather Boot. 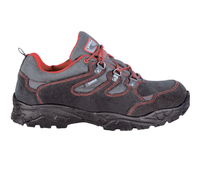 Arch Support Cork Comfort Midsole. Padded Tongue. 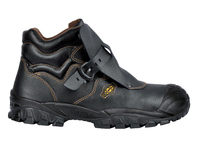 Cordura Lining. 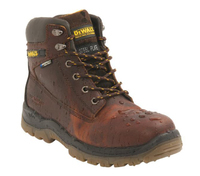 Reinforced Lace Eyelets. 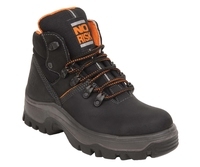 The NO RISK Darwin boot has Double density PU+TPU outsole and Brown Nubuck Flother leather upper. 'Laser'' High Tech lining. ''Airpump'' special insole. 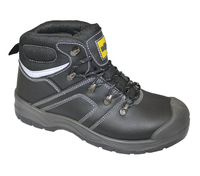 Composite toe cap and Kevlar midsole. 100% Non Metallic. 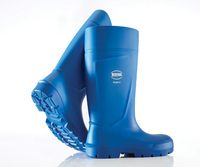 EN ISO 20345 S3 SRC. 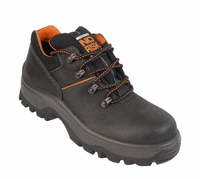 The NO RISK McKenzie boot has Double density PU+TPU outsole and Brown Nubuck Flother leather upper. 'Laser'' High Tech lining. ''Airpump'' special insole. 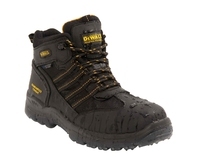 Composite toe cap and Kevlar midsole. 100% Non Metallic. 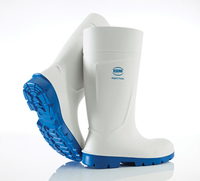 EN ISO 20345 S3 SRC. 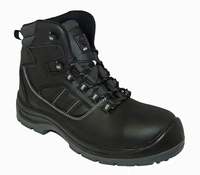 Water Resistant Black Leather Ankle Boot with Non-Metallic Toe Cap and Steel Midsole. 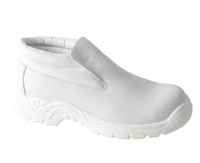 Slip On with Antistatic Slip -Resistant Dual Density Sole. 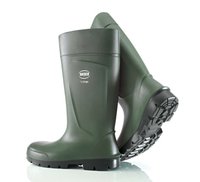 Breathable Abrasion Resistant Lining. Scuff Cap. ENISO 20345 S3 SRC. 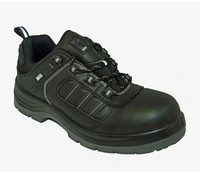 Trainer Shoes with Leather and Textile Upper with Steel Toe Cap and Midsole Resistant to Sole Perforation, breathable lining, non metallic midsole, dual density PU sole. 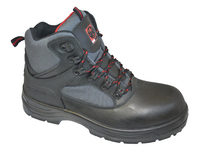 Trainer Boot with Leather and Textile upper, with Steel Toe Cap and Midsole Resistant to Sole Perforation, Breathable Lining, non metallic midsole, dual density PU sole. 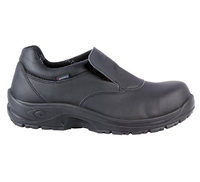 Smooth Leather Slip On Lightweight Safety Shoe, Lightweight Composite Toe Cap and Midsole Resistant to Sole Perforation, Dual Density sole, ENISO20345 S1P SRC. 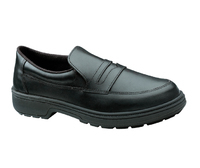 Smooth Leather Brogue Style Lightweight Safety Shoe, Lightweight Composite Toe Cap and Midsole Resistant to Sole Perforation, Dual Density sole, ENISO20345 S1P SRC. 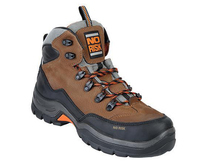 NO RISK King Nu-Buck Leather Boot. 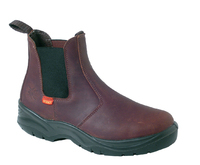 Arch Support Cork Comfort Midsole. Padded Tongue. 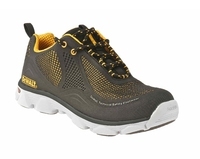 Cordura Lining. 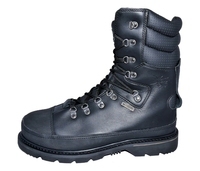 Reinforced Lace Eyelets. 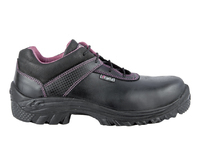 The COFRA Elenoire Ladies Safety Shoe has Water repellent full grain leather, breathable, antibacterial lining which absorbs and releases moisture. 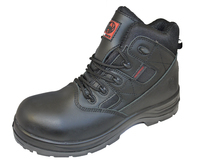 Midsole non metallic APT Plate - zero perforation, Toe cap non metallic. ENISO 20345 S3 SRC. 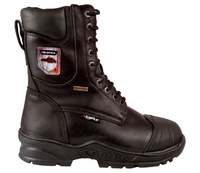 REDBACK Rigger Fur Lined Rigger Boot. Tan leather. 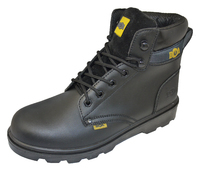 Steel Toe Cap and Midsole Resistant to Sole Perforation, Reinforced heel area, scuff cap on toe. ENISO20345 S1P SRC. 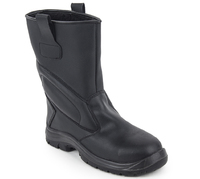 Fur Lined Rigger Boot. Black leather. 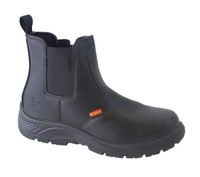 Composite Toe Cap and Non Metallic Midsole Resistant to Sole Perforation, Reinforced heel area. ENISO20345 S3 SRC. 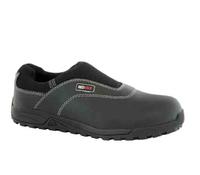 Lightweight Slip-On Style Shoe with Steel Toe Cap and Soft Washable Microfibre Upper, ENISO20345 S2 SRA. 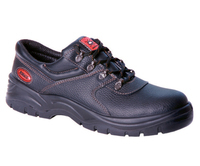 The COFRA Flavius safety shoes has breathable synthetic lining which is 100% polyester fabric, breathable, antibacterial, absorbs and releases moisture. 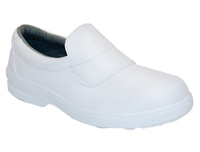 AIR footbed, made of EVA and fabric, antistatic, anatomic. Non metallic safety cap. 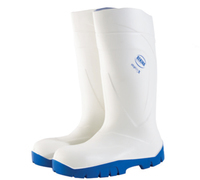 Suitable for for food industry. ENISO 20345 S2 SRC. 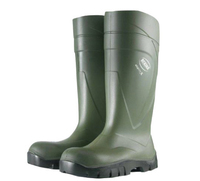 Polyurethane (PU) lightweight comfortable wellington with Steel Toe-Cap, excellent thermal insulation, high slip resistance, ENISO 20345 S4 CI SRC. 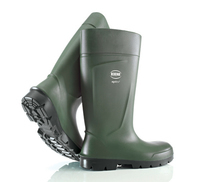 The Bekina Agrilite is a Polyurethane (PU) lightweight comfortable wellington with Steel Toe-Cap, excellent thermal insulation, high slip resistance, ENISO 20345 S4 CI SRC. 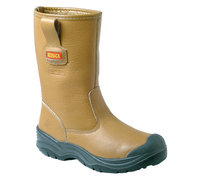 The Bekina Steplite Food is a Polyurethane (PU) lightweight comfortable wellington with Steel Toe-Cap, excellent thermal insulation, high slip resistance, ENISO 20345 S4 CI SRC. 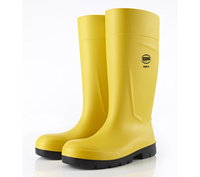 Polyurethane (PU) lightweight comfortable wellington, excellent thermal insulation, high slip resistance, ENISO 20345 S4 CI SRC. 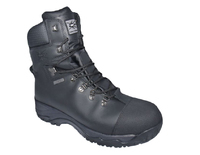 Polyurethane (PU) lightweight comfortable wellington with Steel Toe-Cap and Midsole, excellent thermal insulation, high slip resistance, ENISO 20345 S5 CI SRC. 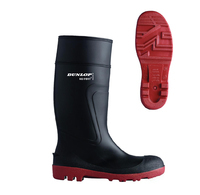 PVC/Nitrile safety wellington with Steel Toe-Cap and Steel midsole, good slip resistance, ENISO 20345 S5 SRA. 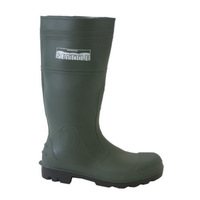 Stylish, Durable PVC/Nitrile Safety Wellington with Steel Toe-Cap and Steel Midsole, Good Slip Resistance, ENISO 20345 S5 SRA.